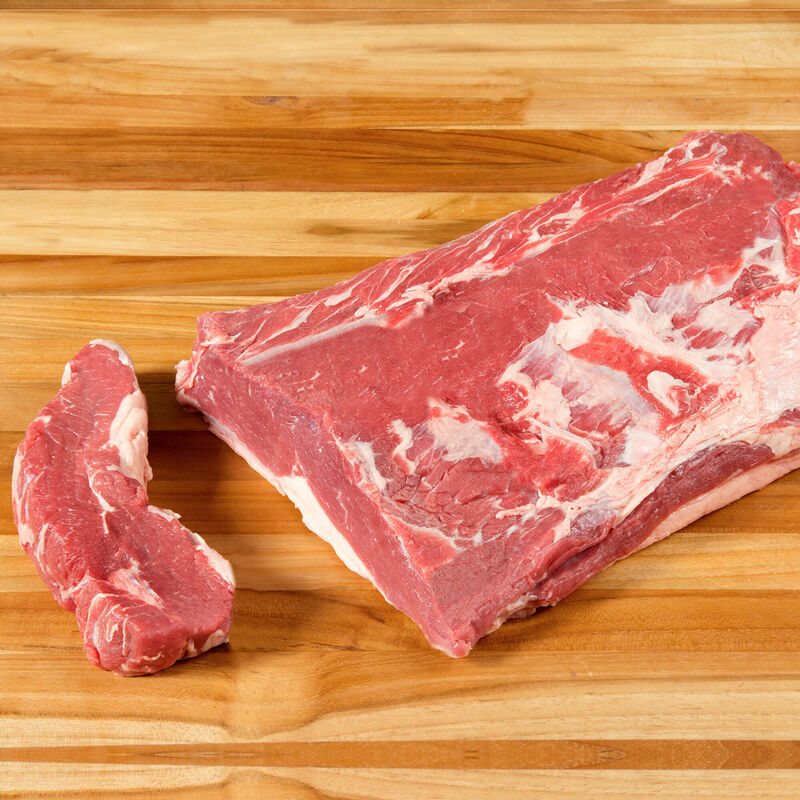 Grass-fed beef striploin from Angus and Hereford cattle raised with no antibiotics or hormones on Australian ranches. Grass-fed beef is leaner than grain-fed beef, and the densely-textured, highly flavorful meat also offers health benefits. Our 100% grass-fed Angus and Hereford cattle are raised on family-owned Australian ranches where they graze on pastures of alfalfa and rye. In keeping with our principles, the steer are treated humanely and are free of any hormones, stimulants or antibiotics. It’s better for the cattle, the ranchers, the environment, and ultimately, for the taste and quality of the beef.